The Rev. 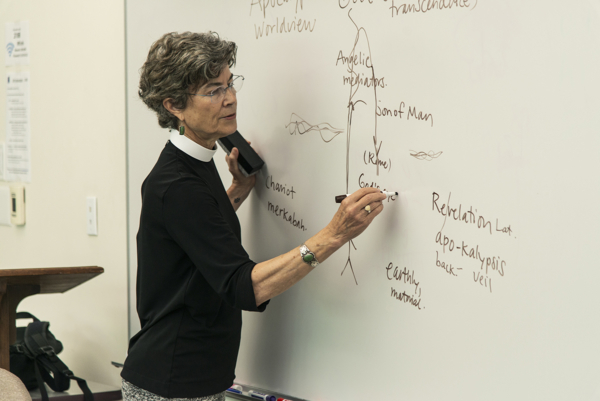 Jane Patterson teaches during a class offered by the Iona Center at the Seminary of the Southwest in Austin, Texas. [Episcopal News Service] The Episcopal Church has an important partner as it responds to shifts in the religious landscape. In 2018, the Lilly Endowment Inc., a private philanthropic foundation based in Indianapolis, Indiana, awarded nearly $4.5 million in grants to launch or strengthen programs that help pastoral leaders thrive in their ministry with congregations. And these grants are only the latest in a long history of support from the religion division of the foundation, whose mission is to deepen and enrich the religious lives of American Christians. The lion’s share of the grants to Episcopal entities came from an initiative at the Lilly Endowment Inc. called “Thriving in Ministry.” At the core of the initiative is a belief that strong, spiritually healthy pastoral leaders are integral to building and sustaining strong and healthy congregations. Thriving in Ministry grants support programs that are helping clergy develop mentoring relationships and peer groups, especially during times of transition or for those serving in particular contexts, said Judith Cebula, communications director of the Lilly Endowment Inc. In 2018, the endowment made 78 Thriving in Ministry grants to religious organizations around the country, totaling nearly $70 million. At Seminary of the Southwest in Austin, Texas, a grant of nearly $1 million will support bi-vocational priests and deacons, leaders who work primarily in secular jobs and who may or may not be paid for their ministry in local churches. Typically “bi-vocational priests do not receive the same level and amount of formation as those who attend a three-year residential seminary,” said Bader-Saye. With the support of the grant, the seminary’s Iona Collaborative will create “cohort” groups for bi-vocational clergy to pursue different tracks of continuing education, including preaching and spiritual formation and clinical pastoral education. Individuals will also have mentors during the program. A theme of peer-to-peer learning and the importance of mentoring will undergird new work at the School of Theology at the University of the South in Sewanee, Tennessee. Building upon the seminary’s expertise in training of trainers, the seminary will use its nearly $1 million Lilly grant to develop mutual mentoring groups for clergy serving in rural communities, Latino/Hispanic ministry, historically African-American congregations, and those in non-traditional educational programs. Alexander believes the cohort groups will create a symbiosis that can bear tremendous fruit. Virginia Theological Seminary is exploring how to strengthen leaders through three Lilly grants awarded in 2017 and 2018, totaling $2.75 million. The grants support two new initiatives: “Baptized for Life” and a “Thriving in Ministry” mentoring program as well as a continuation of the project “Deep Calls to Deep,” which seeks to improve preaching through peer learning groups. The seminary, in Alexandria, Virginia, received $1.5 million from the Lilly Endowment Inc. for Baptized for Life: An Episcopal Discipleship Initiative. The focus of this program is on encouraging lay involvement and ownership in congregations. The program will work with 20 congregations that reflect the diversity of the Episcopal Church and develop formation resources that help individuals of all ages live into their baptismal vocation. A nearly $1 million Thriving in Ministry grant will help priests who are at various transition points in their ministry, such as moving into church planting or female clergy who become senior rectors. As part of its ministry to “seed the field with the type of leaders the church needs,” the Episcopal Diocese of North Carolina will embody the principle of team learning and collaboration in its new initiative, “Reimagining Curacies,” said the Rt. Rev. Sam Rodman, bishop of the Diocese of North Carolina. Funded by a nearly $1 million grant, the program will create cohorts of three nearly ordained clergy who will serve as a team in three different contexts: rural, urban and multi-cultural. The cohorts will meet regularly with senior clergy, mentors, and lay leaders. While these large grants focus on institutional and structural change, the Lilly Endowment Inc. also awards grants to enhance and sustain the quality of ministry on the local levels. These include the Lilly Endowment “Clergy Renewal Program,” which began in 1998, first in Indiana and then nationwide. The Rev. 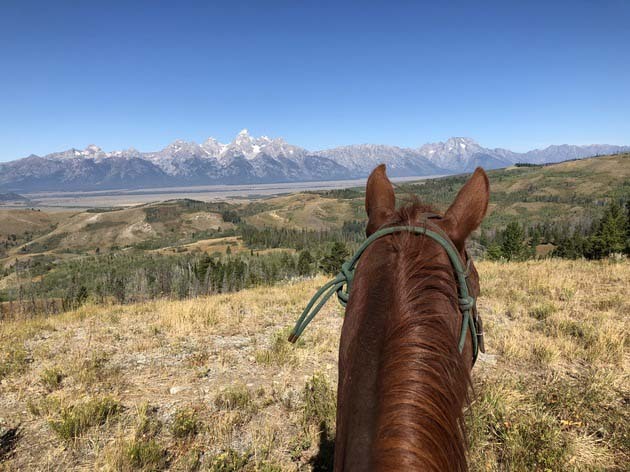 Laurie Brock took in this view of the Grant Tetons while riding Maverick during a sabbatical trip. A number of Episcopal congregations and their clergy have received these grants, including the Episcopal Church of St. Michael the Archangel and rector, the Rev. Laurie Brock. A 2017 grant included money for Brock to attend a course on women and the Bible at St. George’s College in Jerusalem and spend a week riding horses in the Grand Tetons in Wyoming. The grant funded supply clergy for the congregation during Brock’s sabbatical, as well as a conference, “Women in the Bible,” that gave the congregation a parallel encounter to their priest. “Being able to share our experiences as priest and congregation during sabbatical time and looking to how God is calling us to be disciples together as we begin this next portion of our journey has allowed us to weave the wisdom we both gained from sabbatical into our mutual story and be excited about what comes next,” Brock said. 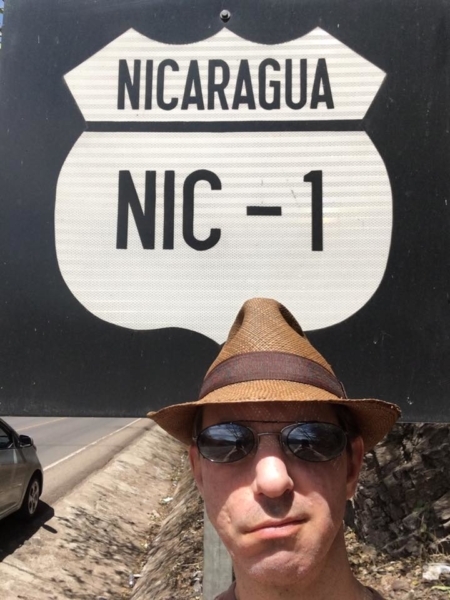 Schenck focused his sabbatical on a theme of faith and coffee, traveling to coffee farms in Central America as well as to an Eastern Orthodox monastery in Pennsylvania where monks roast and market their own coffee. Although the grant doesn’t encourage participants to finish their sabbaticals with a product, Schenck wrote a book out of his experiences, titled Holy Grounds: The Surprising Connection Between Coffee and Faith—From Dancing Goats to Satan’s Drink (Fortress Press) that will be out in early spring of 2019. Learn more about the Lilly Endowment Inc. and the Lilly Endowment Clergy Renewal Program. The post Lilly grants support Episcopal entities, priests in various ways appeared first on Episcopal News Service.